October 1917. Washington, D.C. "Knickerbocker Theatre." Harry Crandall's new Knickerbocker cinema at Columbia Road and 18th Street N.W. 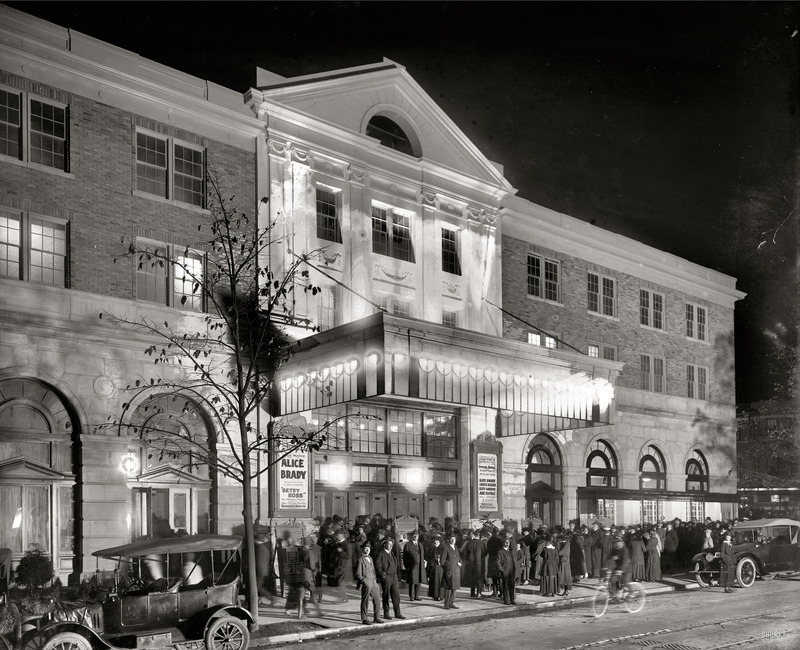 opened on October 13, 1917, with the historical drama "Betsy Ross," and an appearance by its star, Alice Brady. 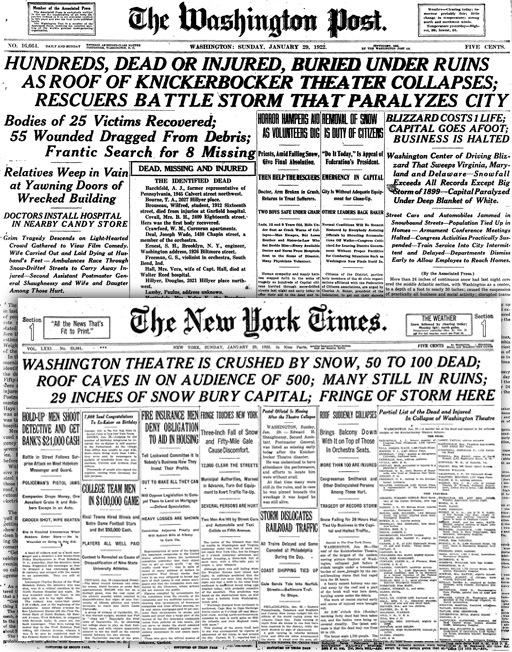 Less than five years later, 98 moviegoers were killed here when the roof caved in under an accumulation of snow during a blizzard.